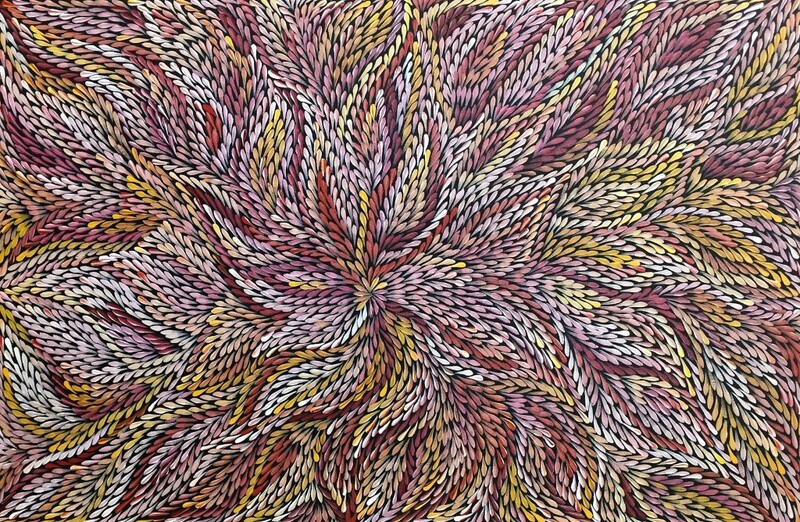 The leaf-like patterns used throughout Dulcie’s paintings depict the bush yam flower as it appears above the ground. 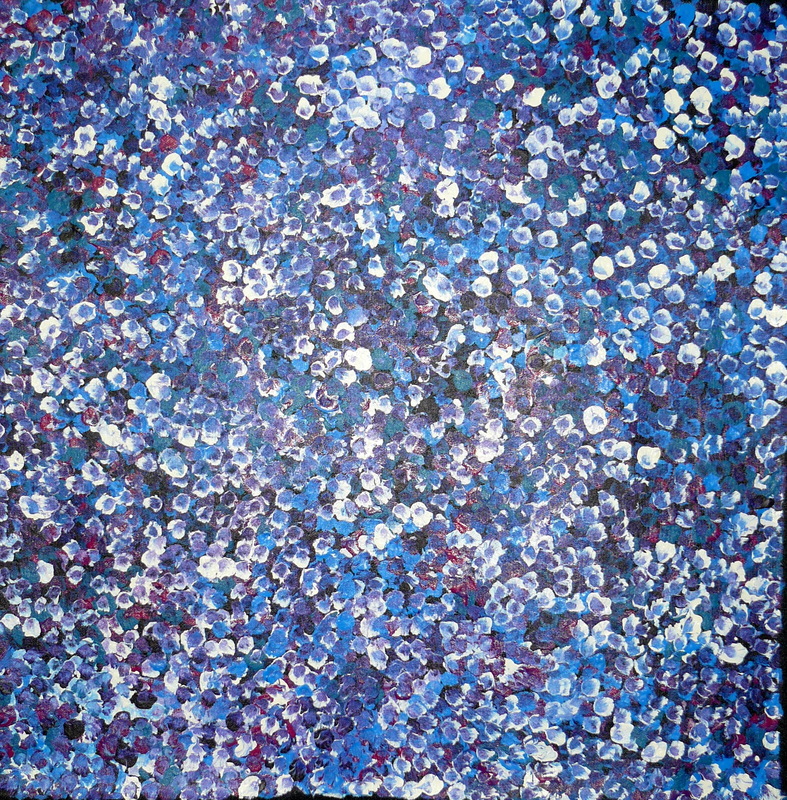 Her works pay homage to the Bush Yam. 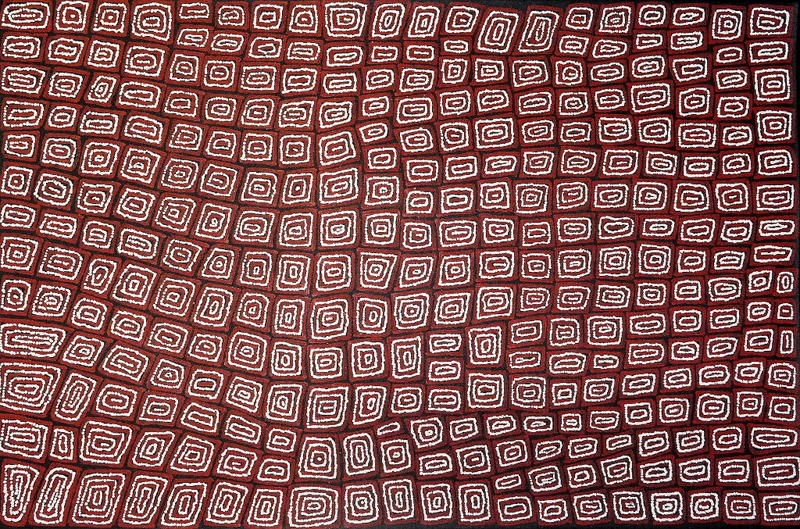 During Women’s Ceremony for the Yam, the women sing traditional songs and dance to ensure the abundance of the plant over the next year and also the stories associated with the Yam are handed down to the younger generations. 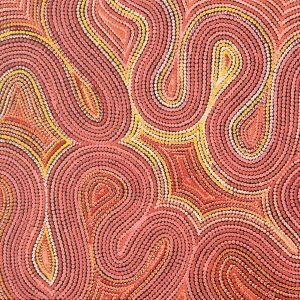 SKU: DLP201418 Category: Aboriginal Art Tags: Medicine Leaf, Utopian art, Pitjara, Bush Leaf, Utopia, Pula, Pwerle, Central Australian Aboriginal Art.